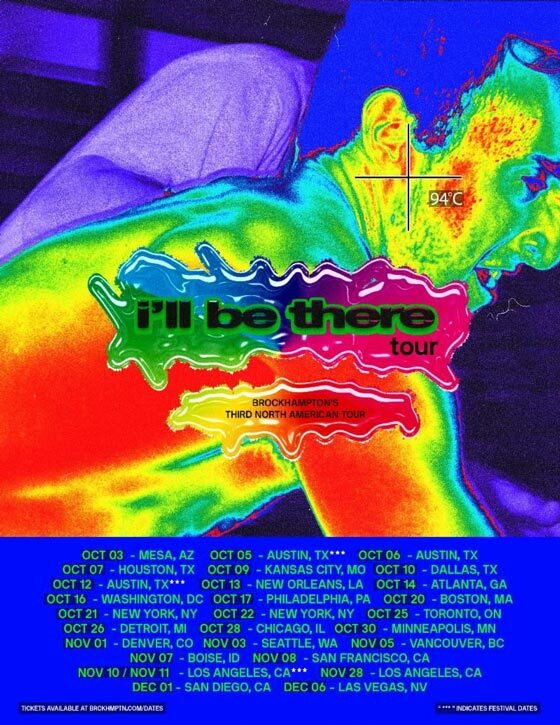 Ahead of delivering a freshly retitled album next month, Brockhampton have now announced a North American tour to match. Following a run of Australia and New Zealand dates in September, the group will kick off their "I'll Be There Tour" on October 3 in Arizona. The 27-date run includes festival appearances at Austin City Limits and Tyler, the Creator's Camp Flog Gnaw. A pair of Canadian dates have also been included in the itinerary. Brockhampton will first play Toronto's Coca-Cola Coliseum (f.k.a. Ricoh Coliseum) on October 25 before playing Vancouver's PNE Forum on November 5. Brockhampton are expected to release their PUPPY the best years of our lives Iridescence LP in September via Question Everything/RCA Records. The group's latest run of single releases includes "1999 WILDFIRE," "1998 TRUMAN" and "1997 DIANA." They last delivered their Saturation III last December.